The mission of Kitsap Ski School is to help participants build a life long love for snow sports and mountain stewardship while providing snow sport education for youth in grades 5 through 12. 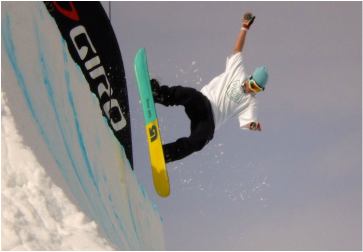 Ski School was founded in 1969 as the premier ski education program for Kitsap County. The program is now open to all students in grades 5 through 12 from the surrounding area. Since the program doors opened, thousands of students have learned how to safely ski and snowboard while learning to enjoy the great outdoors. In the fall of 2018, Kitsap Ski School re-organized and became a 501(c)3 organization. The Kitsap Ski school program provides eight Saturday trips from Silverdale to Stevens Pass. Transportation and Ski School instruction is provided as part of the program. Through the program our students make friends, build self-confidence, and develop skills in a sport that will keep them active for the rest of their lives. We know that people who take lessons progress faster, learn proper techniques, and are less likely to hurt themselves or injure others. Most students who take three or more years of lessons in our program become expert skiers or snowboarders and are able to charge safely down the steepest slopes with complete confidence in all conditions. No matter how good you are (or think you are), there are instructors in our program who can help you become even better. Everyone in grades 5 - 9 is required to take lessons. Students in grades 10 - 12 can opt out of lessons if they have been in our program for 3 years. Program instructors will tailor their lessons to match the skill level of each individual student. To be sure instructors have the information needed to assess your student, please review the lesson descriptions below so that he/she will receive the appropriate level of instruction. "I have never been on skis or a snowboard"
"I have some basic experience and know how to control my speed on a gentle slope"
"I know how to turn to keep control and I know how to use a chairlift"
"I am confident turning on all Green runs and venturing onto Blue runs"
"I feel comfortable and turn smoothly in both directions on all groomed Blue runs"
"I approach all Blue runs and some Black runs with confidence in all conditions"
" I am confident on all runs and ready for the challenge of a specific focus such as freestyle or freeride"